On 28-29 April 2014, in the framework of the Estonian ICT Week, Tallinn will be hosting the annual conference of the Freedom Online Coalition (FOC). The FOC is a new and growing group of countries dedicated to upholding and advancing the philosophy of internet freedom. The battle for the future of the internet is heating up, and with its policies and the FOC conference, Estonia has placed itself at the heart of it. It is undeniable that the advent and rapid proliferation of the internet has significantly impacted the social, economic and, perhaps most importantly, the political dimensions of global relations. Not only has it brought about an astounding rate of innovation and technological development, it has also enabled an unprecedented level of connectivity between the world’s citizens. However, over the course of the last two decades, the international discourse surrounding the internet has become increasingly politicised and, more recently, securitised. 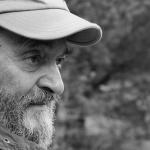 It is very likely that the next few years will be crucial for determining whether the internet of the future will be characterised by the openness and interoperability that have been its hallmarks thus far, or whether it will disintegrate into tens or hundreds of smaller, less porous, less connected, less free, more controlled and filtered networks. The Republic of Estonia, for its part, is an active and vocal proponent of an internet that is safely and reliably accessible from all over the world. This foreign policy stance has its roots in Estonia’s own experiences with the internet as a driver of economic growth and a facilitator of public services. In fact, in 2000, Estonia became the first country in the world to officially acknowledge internet access as a human right. In 2005, it was the first country to successfully employ internet voting in nationwide elections. 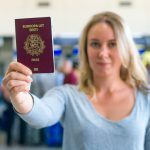 Additionally, Estonia is widely considered to be a global pioneer in the field of e-government, with more than 1,000 public services available to its citizens online. From an economic perspective, Estonia is becoming increasingly known for its vibrant and innovative tech start-ups. In the last decade, Skype, which was developed in Estonia, revolutionised the way in which interpersonal communication occurred at distance and, in the process, became a household name around the world. More recently, TransferWise is quickly carving out a positively disruptive niche in the world of international finance. All of these domestic accomplishments have been underpinned by Estonia’s dedication to internet freedom and openness. 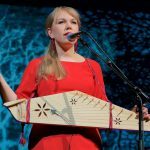 And they have led Estonia to pursue a foreign policy that encourages the spread of the internet and its associated socioeconomic and political potential to the rest of the world. Yet the reality is that the level of internet freedom in the world is decreasing while attention to the topic of internet governance is increasing. There is a growing tendency for governments to view the instantaneous flows of information and ideas that the internet enables as threats to domestic stability, cultural cohesion and national security. A number of states have begun to use sophisticated techniques to block, filter and/or remove online content. According to Freedom House’s comprehensive annual Freedom of the Net study, there has been a global proliferation of laws, regulations and directives to restrict online speech; a dramatic increase in arrests of individuals for something they posted online; legal cases and intimidation against social-media users; and a rise in surveillance. Concurrently, there has been an increase in the number and activeness of forums dedicated to studying and debating the topic of internet governance, which refers to the norms, principles and procedures by which the internet operates and evolves. Thus far, the development of the internet has been a decentralised and multidimensional process in which a variety of different organisations have contributed to maintaining and increasing its availability and interoperability. This involvement of academia, enterprises and civil society is known the implementation of the multi-stakeholder model. Of course, there is one country that, as the source of the internet in the first place, has had a considerable influence on the development of the internet: the United States. However, in the wake of the Snowden revelations, there has been an increasing push by some governments to reduce the role of the US in the process, while increasing their own. The danger embodied by this momentum lies in the fact that the United States has employed its influence toward the policy goal of promoting an open, interoperable, secure and reliable internet. On the other hand, many other states are seeking a greater role in internet governance with the objective of codifying into international law the primacy of each individual state’s role in defining what their citizens can see, read, write or share online. Taken to its logical end, this would entail the fracturing of the internet, with states in effect drawing national borders around their information space largely for the purpose of enhanced surveillance and censorship. Not only would this end up impinging on the exercise of citizens’ fundamental human rights, it would also inevitably stifle innovation and economic growth around the world. In this context we find the Freedom Online Coalition (FOC), which is a geographically diverse group of 23 countries that are committed to advancing internet freedom – free expression, association, assembly and privacy online – worldwide. The FOC members are united in their affirmation that human rights apply online just as they do offline, and they work together diplomatically to voice concern over measures to restrict internet freedom and support those individuals whose human rights online are curtailed. 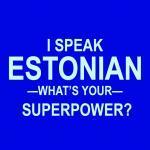 As this year’s chairman of the FOC, Estonia is hosting its annual conference in Tallinn on 28-29 April. The conference, entitled “Free and Secure Internet for All”, will bring together representatives of governments, enterprises and non-governmental organisations as well as individual activists to discuss the most pressing issues surrounding freedom, security and privacy online. In addition, Estonia has brought together an international group of experts from academia, civil society and the private sector to develop a set of recommendations to safeguard and promote internet freedom and interoperability. 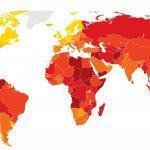 The FOC governments will discuss and potentially adopt these recommendations at the conference in Tallinn. In these ways, the FOC, while formally being an intergovernmental organisation, stresses its commitment to the multi-stakeholder model of internet governance. This means that the FOC has initiated a process that is characterised by diversity and inclusion because, after all, the internet has developed and will continue to develop as an arena not just for the interests, goals and ambitions of states, but also those of businesses, individuals and civil society. The full benefits of the internet have yet to be realised in every part of the world. Truthfully, the unpredictable and powerful process of digitisation is nowhere near completion; only an estimated 40% of the world currently has access to the internet. However, its full potential as a driver of economic, social and political advancement can only be unleashed on a globally comprehensive scale if it remains open and accessible. This does not mean that the timely and sensitive questions of security and privacy that inevitably arise in this context can or will be ignored. In fact, Estonia has shown that it is possible to make significant progress in guaranteeing security and privacy without sacrificing fundamental freedoms online. And on 28-29 April, Estonia, the rest of the FOC members, various like-minded countries and a number of undecided nations around the world will come together with executives, luminaries and activists to exhaustively discuss and debate the intricacies of the questions of internet freedom and internet governance in Tallinn. It remains to be seen whether the vision of a “Free and Secure Internet for All” will become a reality within the next few years. Estonia, for its part, has demonstrated its potential on the national level and will likely continue to pursue the goal of sharing its experiences and spreading the potential of the internet to countries all over the world. 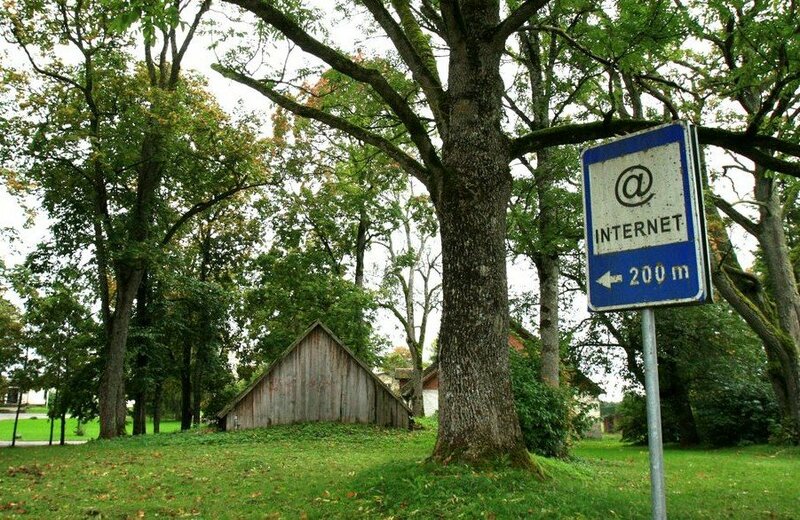 Cover photo: Internet exchange sign in Varbola, Estonia/courtesy of VisitEstonia. 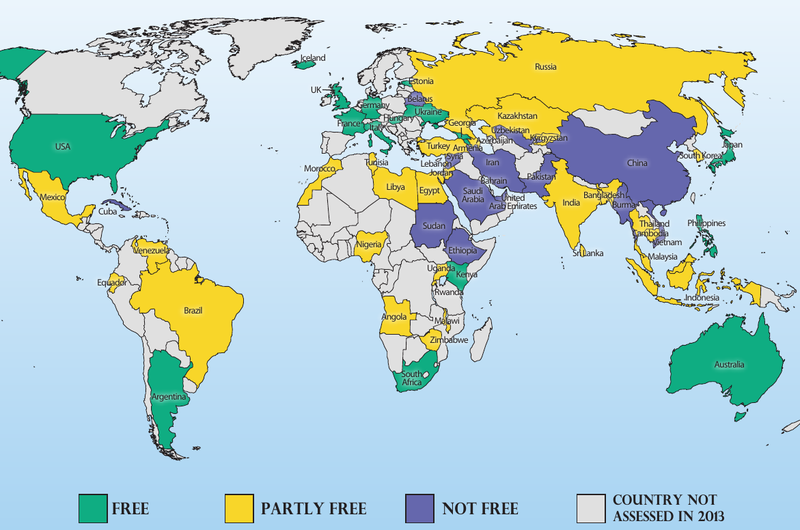 Map: Internet freedom around the world in 2013, by Freedom House. Click to enlarge. Patrik Maldre is the managing partner at Retel Partners, a think thank that aims to build bridges between Estonia and the United States in the fields of cyber security, e-governance and defence. Previously, he worked on cyber security policy as an analyst for think tanks in Estonia and the United States, and as a diplomat at the Estonian ministry of foreign affairs. He holds a BA in philosophy and political science from the University of Illinois at Urbana-Champaign and an MA in international relations from the Institut Barcelona d'Estudis Internacionals (IBEI). He completed his mandatory military service in the Estonian Defence Forces in 2007 and is an active member of the Estonian Defence League.